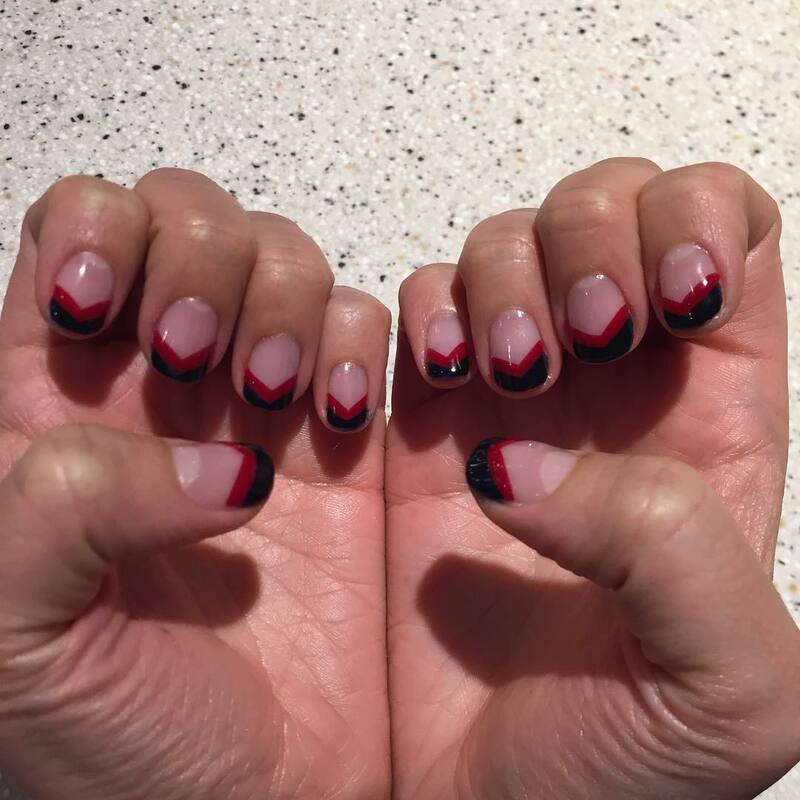 Nail paints have always been a favorite styling idea of every woman. 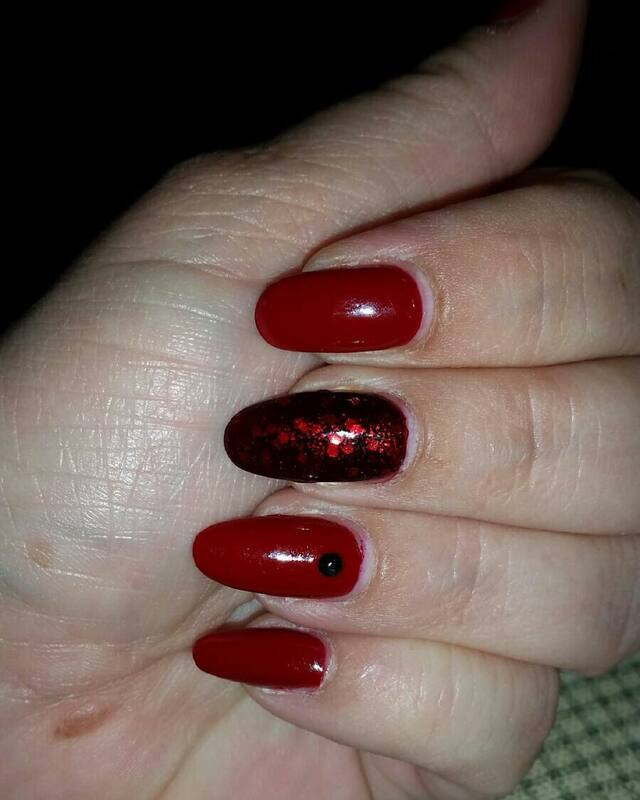 When it comes to paint the nail there are several color to pick, the very first basic nail polish came in the color red. 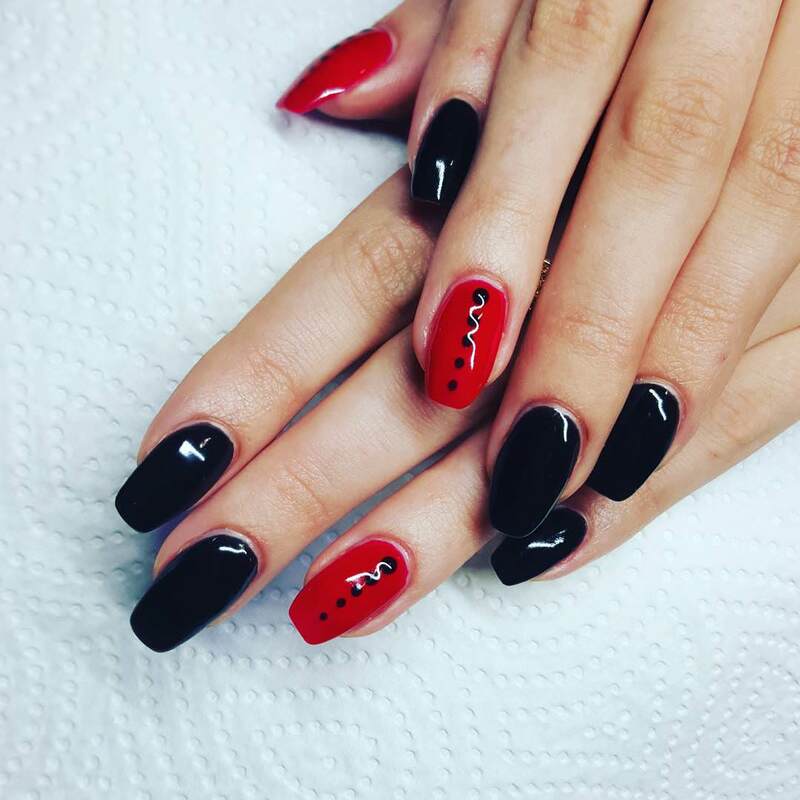 The red nail polish was made with a belief that when a woman wears the red paint in her nails she becomes more confident and appeals the feminine gesture. 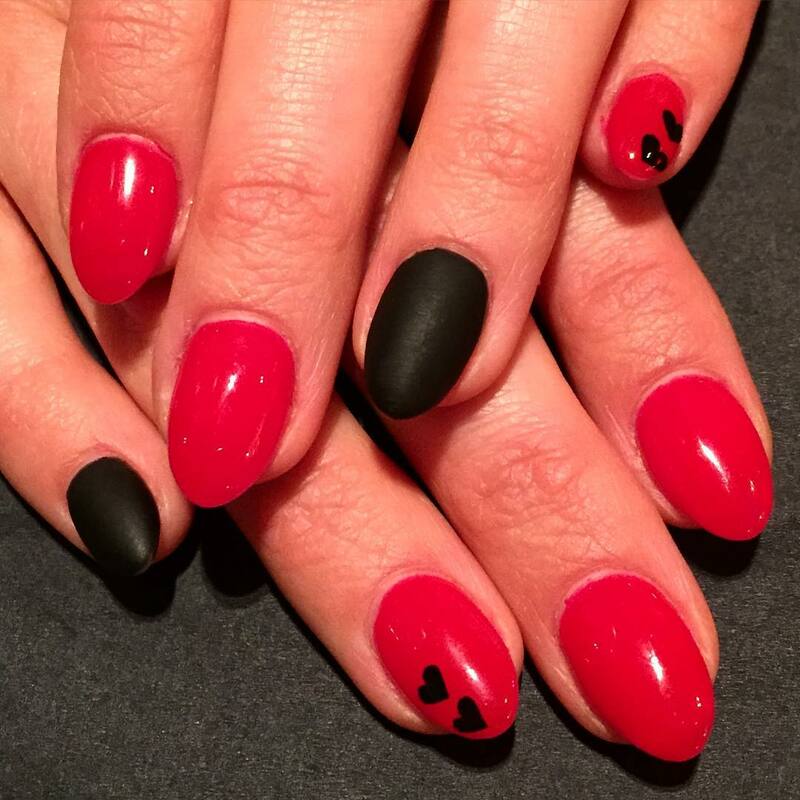 Even the black color looks very pretty and has extravagant vibe when someone wears it. 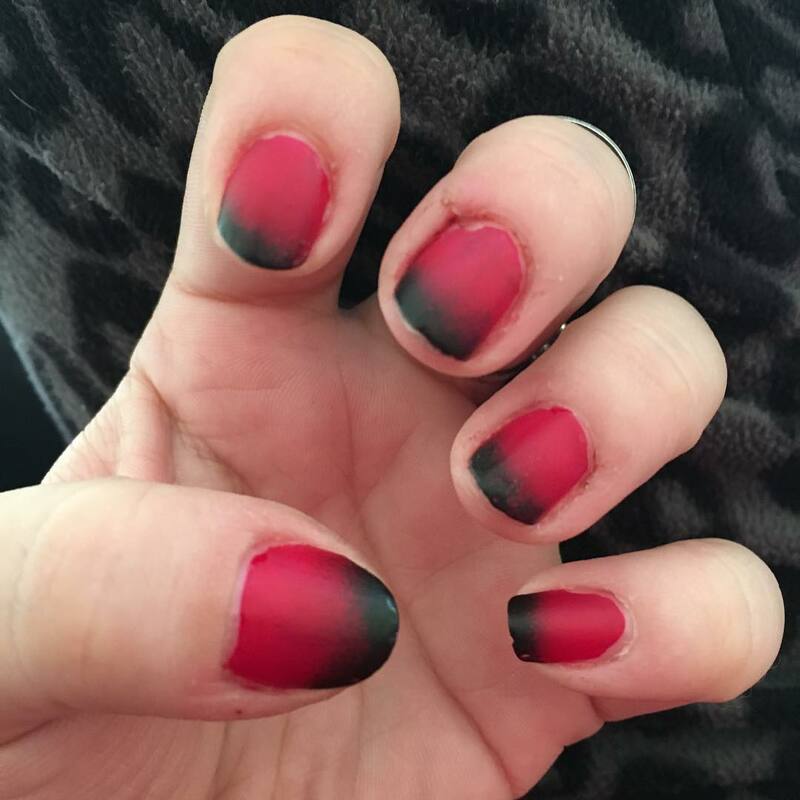 Basic design of nail was just to polish it with some even color. 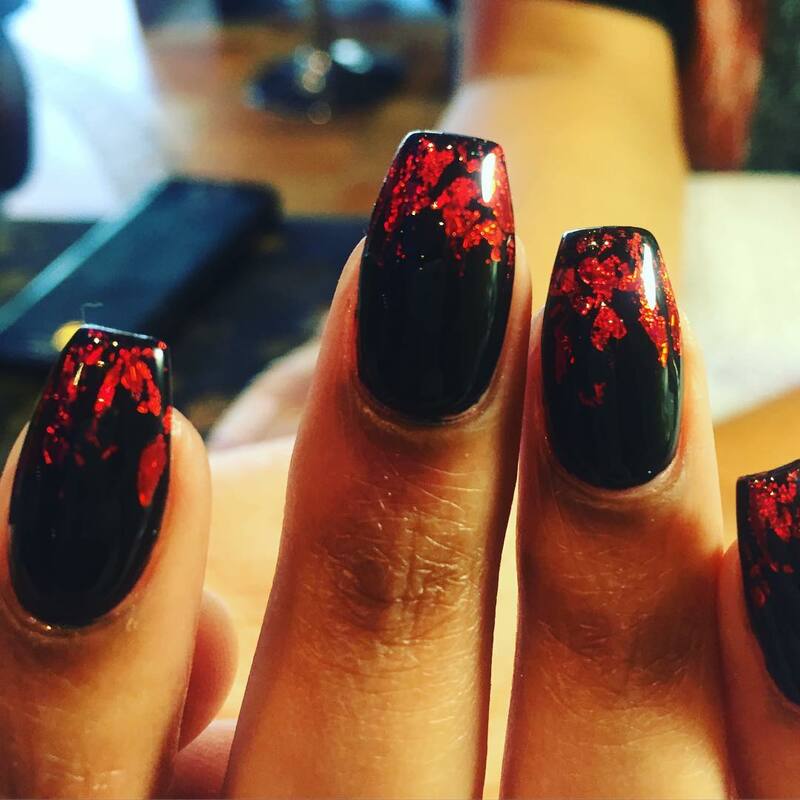 The new twist given to your nail design is to do some kind of art to it, just to make it look extra-ordinary and very pretty. 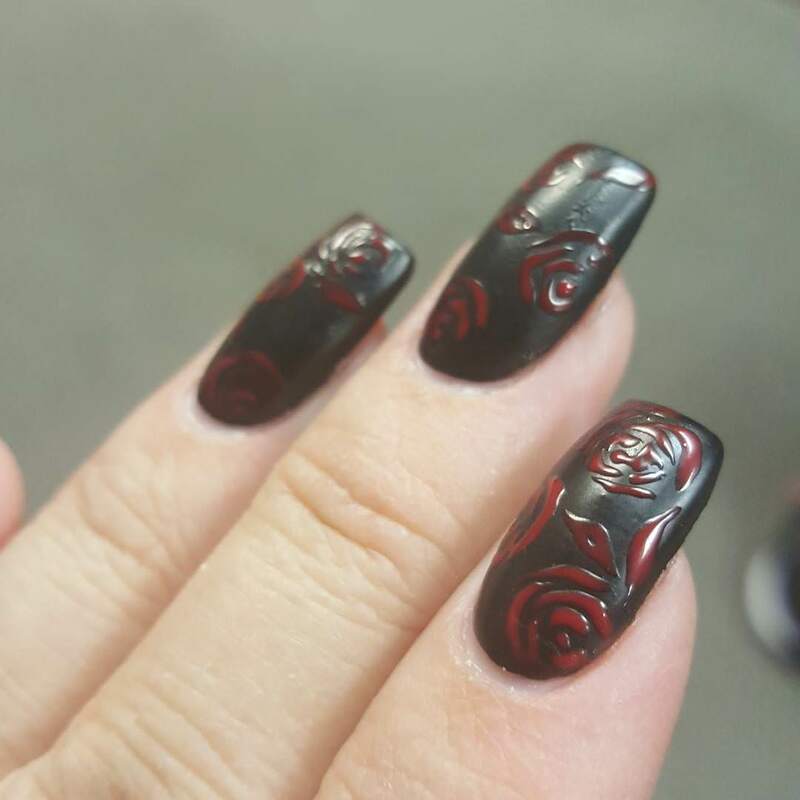 Black and red is a beautiful color combination. 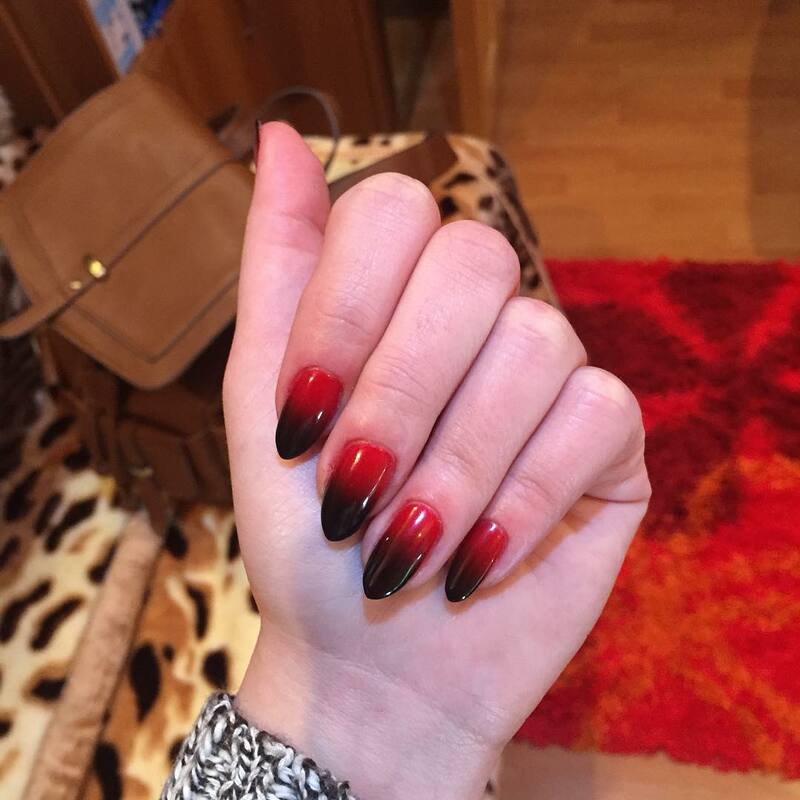 When you paint your nail with these colors, obviously you are gonna love your nail. 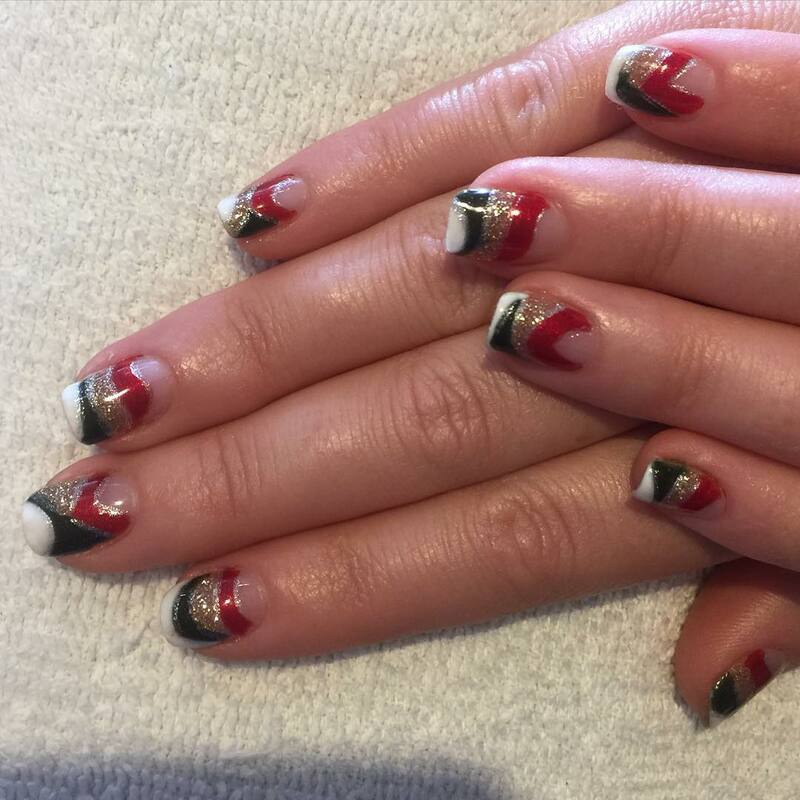 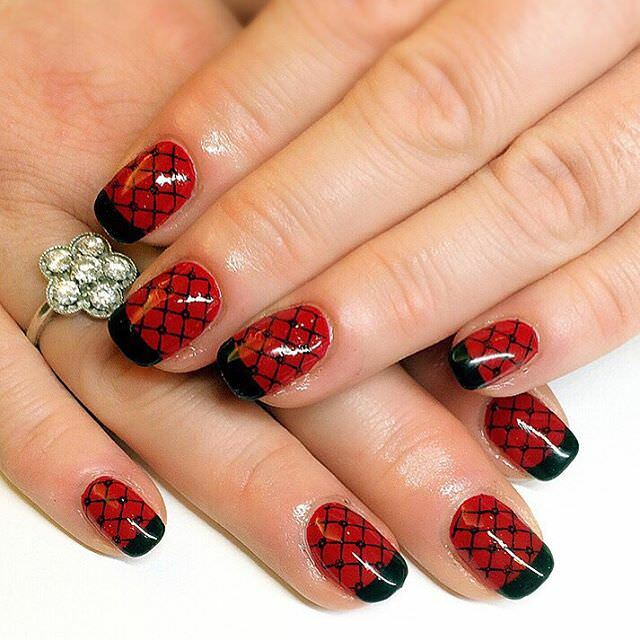 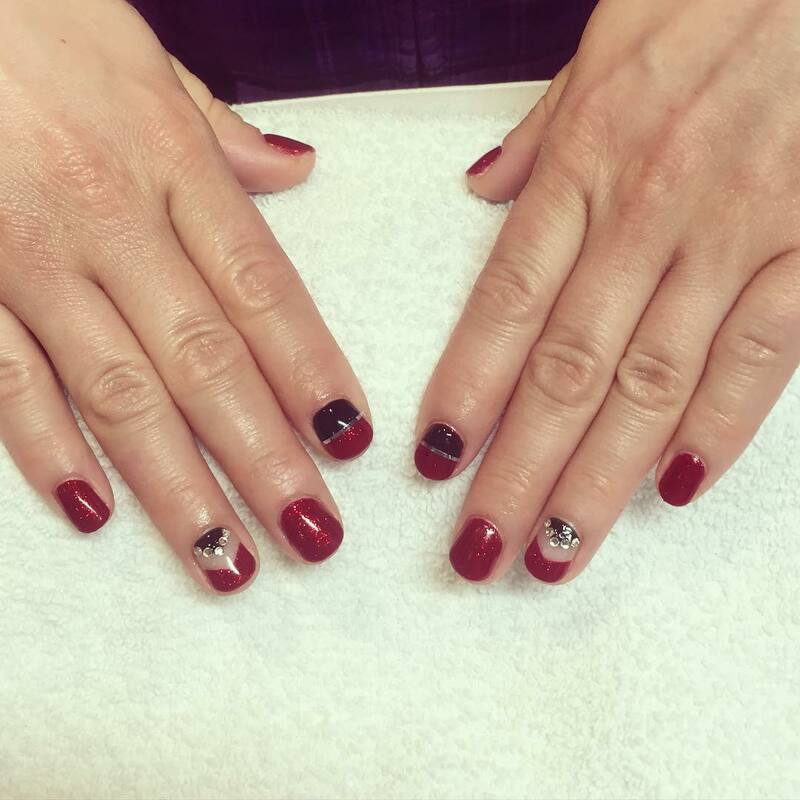 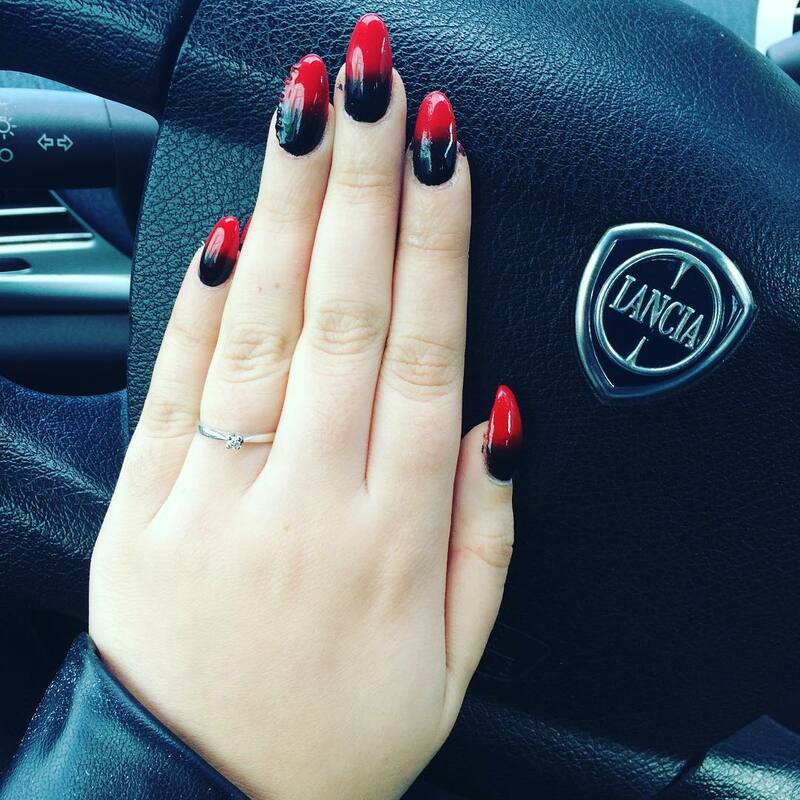 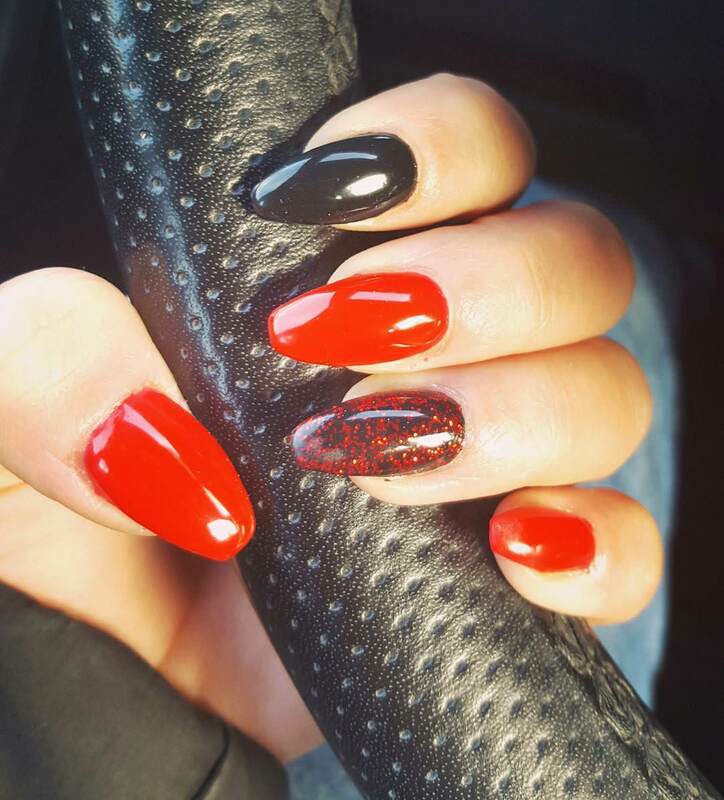 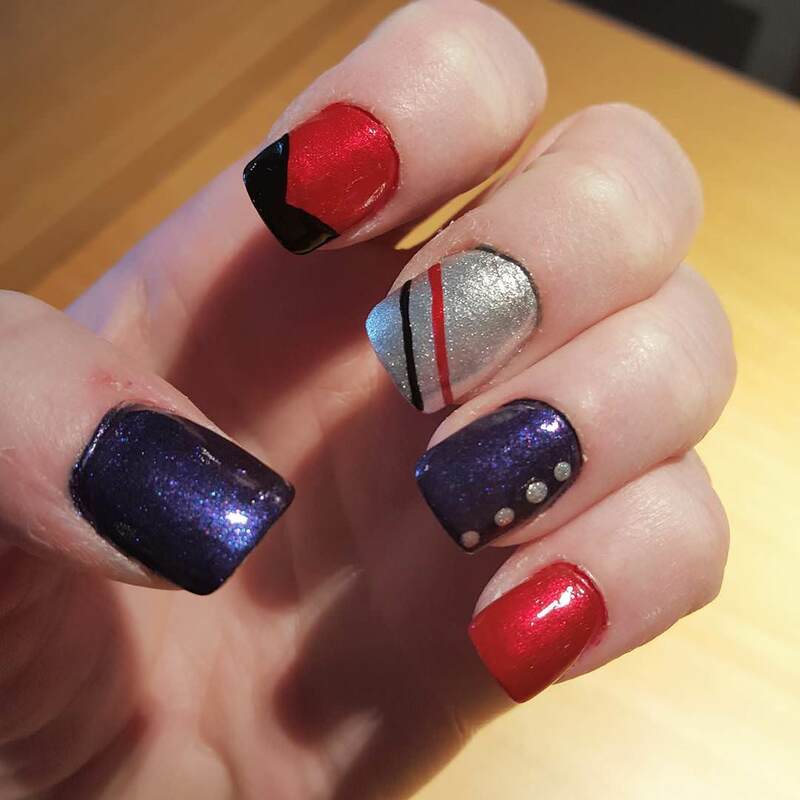 Here are some exciting option to experiment with your nail with red and black. 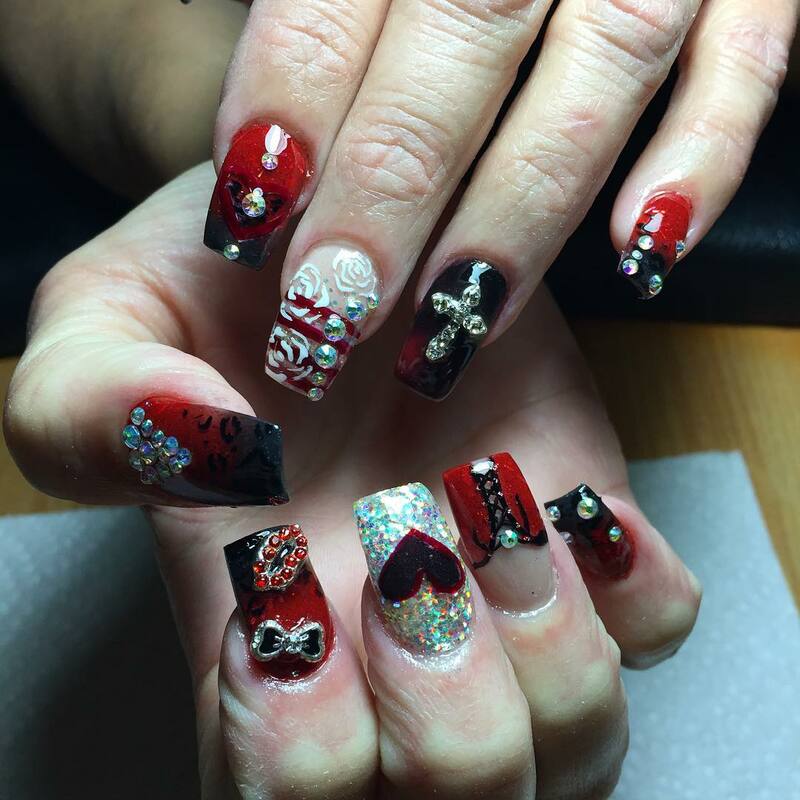 Glitters french nail art, it is the simple and appealing nail art design, where the nail will be painted simply with red in a french manicure and art will be done with black glitters towards the edge of the nail. 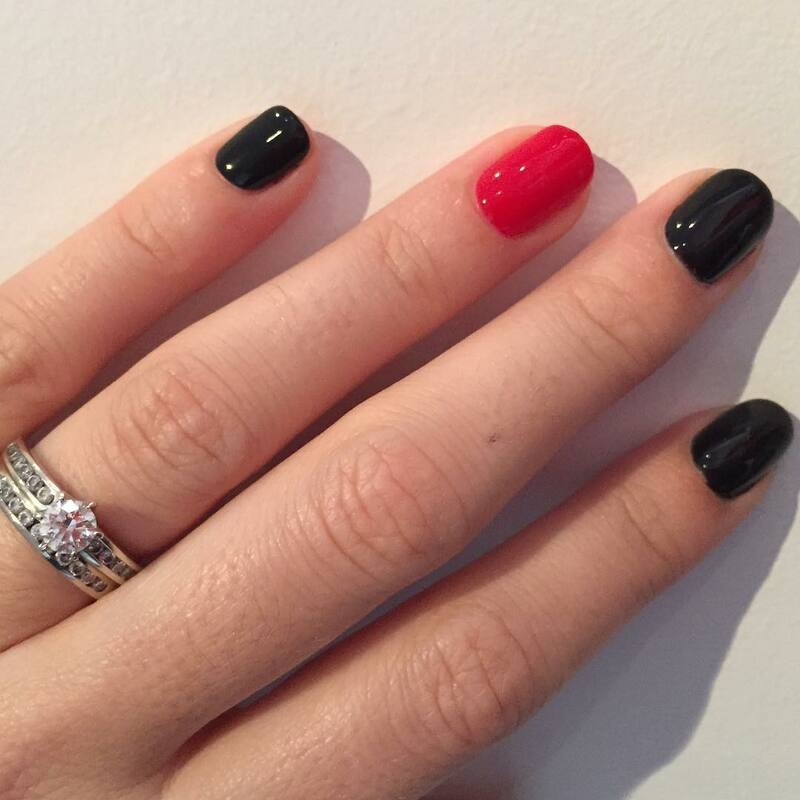 Red and black polka dots, paint your nail red and make polka dots with black. 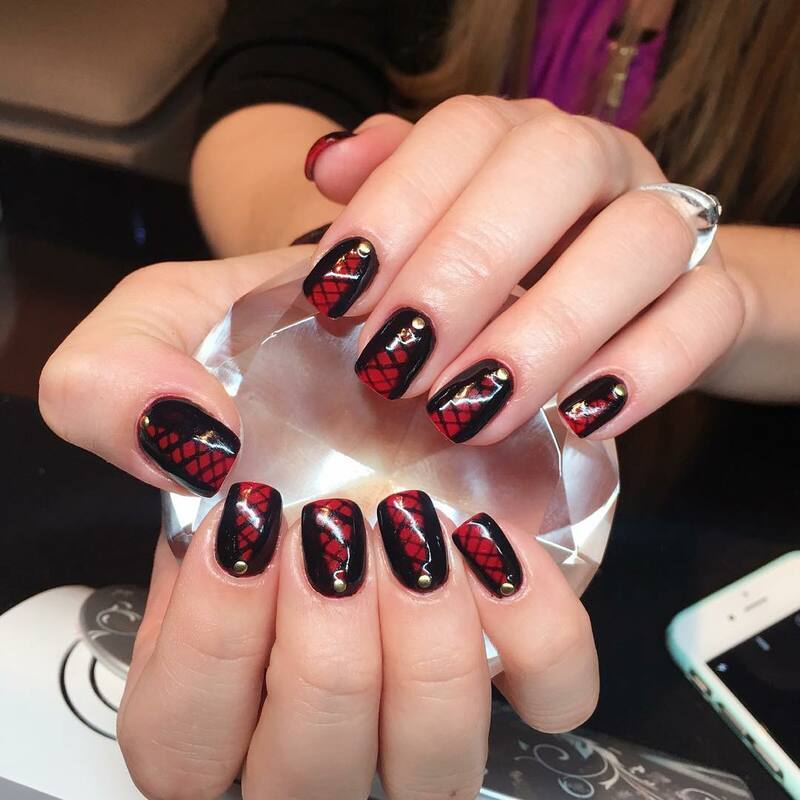 Red and black snake-skin, making the snake pattern with black and red seems quite appealing. 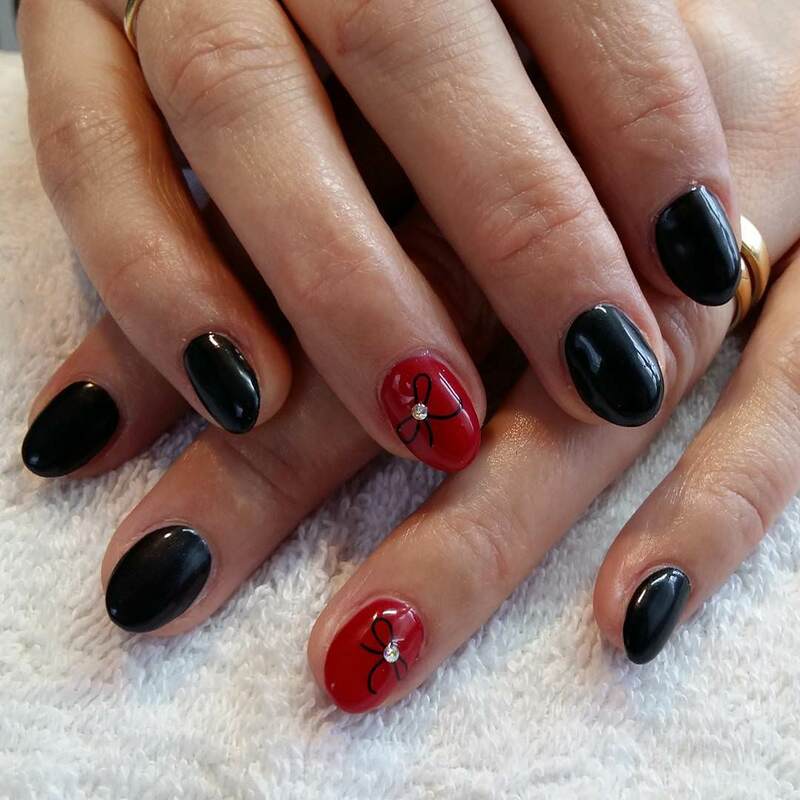 For long nails you can do some floral designs, for short nails patterns like polka dots, cheetah spots look great. 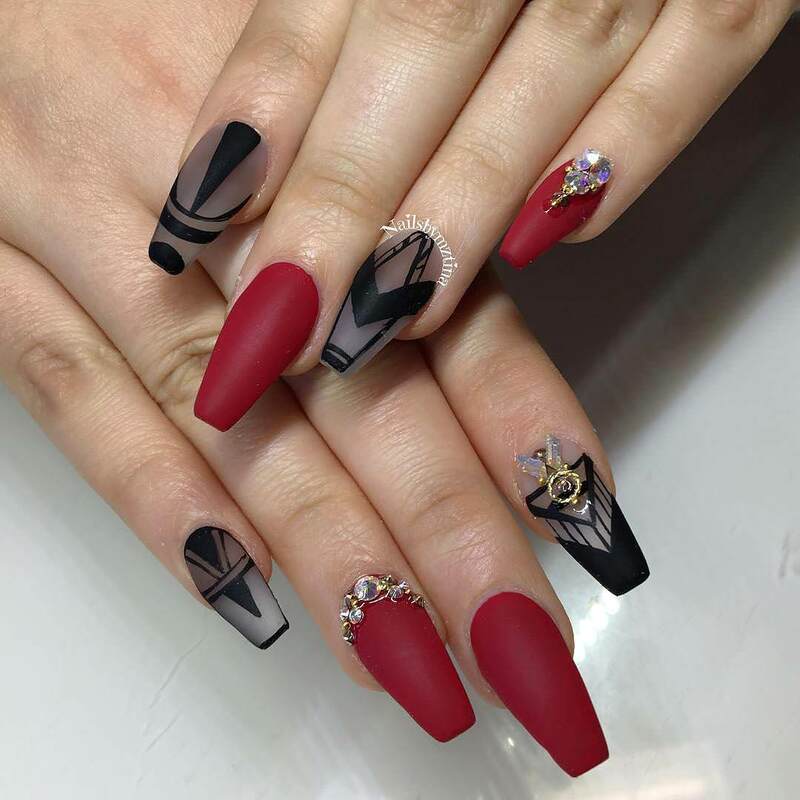 You can even make your nails more pretty, if you are longing to have long nails and office look is just having a little bit of art to your nail and to be a showstopper you can add a bit of glitz and there you go. 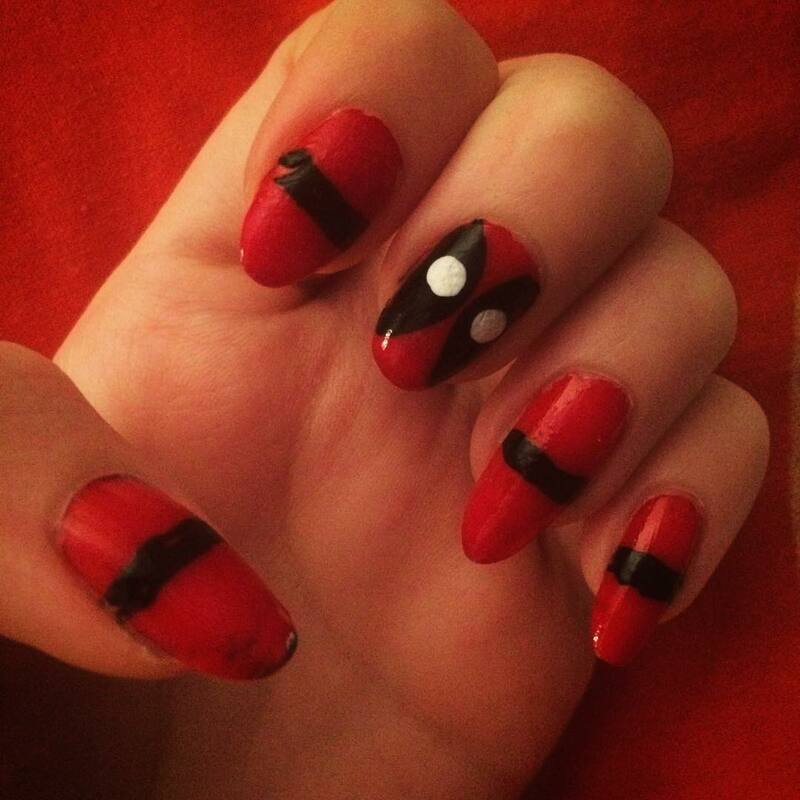 Enjoy painting your nail.